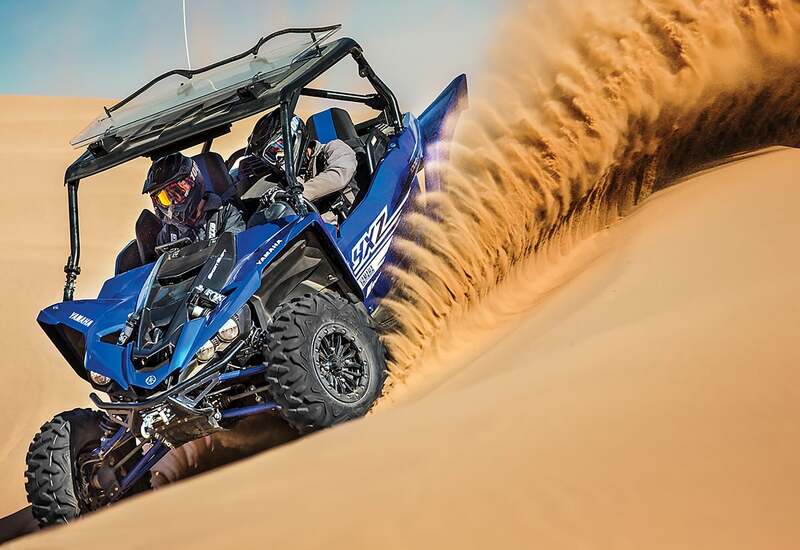 Yamaha made major changes to the 2019 YXZ1000R over previous models. 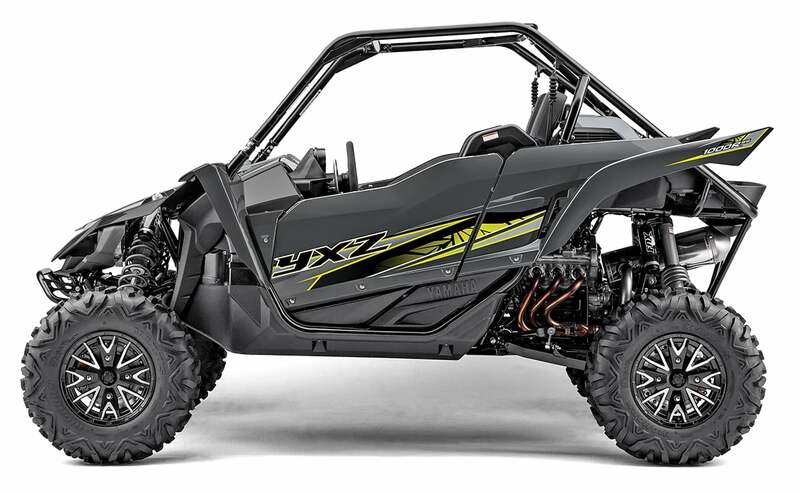 For the new YXZ1000R, Yamaha is still offering the standard stick-shift YXZ1000R in a base model or Special Edition. There is also the five-speed paddle-shift-version SS in a standard or Special Edition. The new changes are found on all models. Prices will be announced in September, but we have been told not to expect a major price increase. 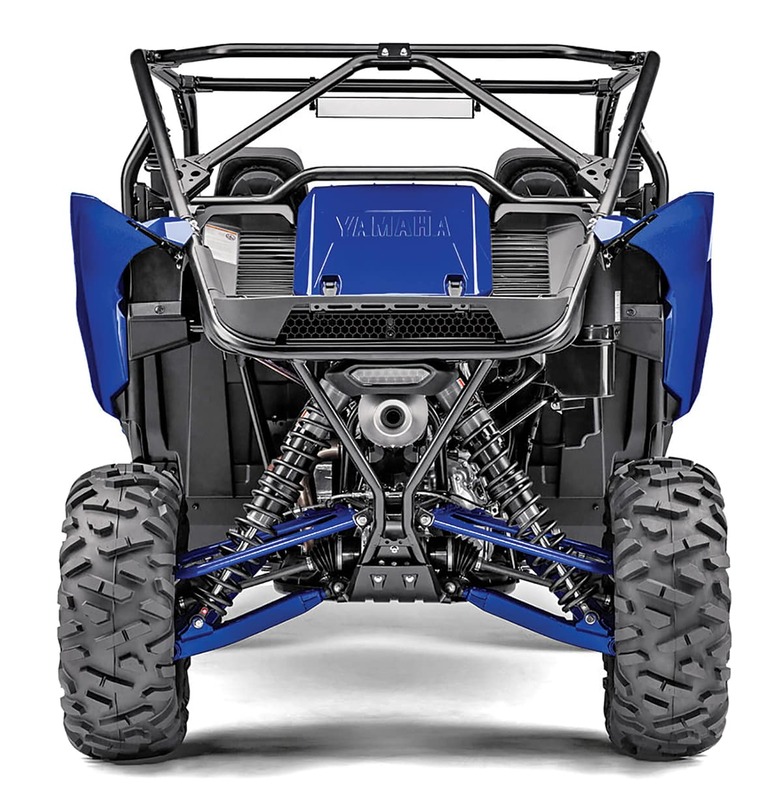 Yamaha has always used a 4/110 wheel pattern on all of its ATVs and UTVs. The change to a 4/156 bolt pattern makes more wheel choices available to Yamaha customers, plus the larger hubs are stronger. On the surface, you can see a new ROPS roof support with a more aggressive look. The standard roof is gone, except for on the Special Edition SS model. The frame has been beefed up in critical stress areas, most likely near the shock and A-arm mounts. 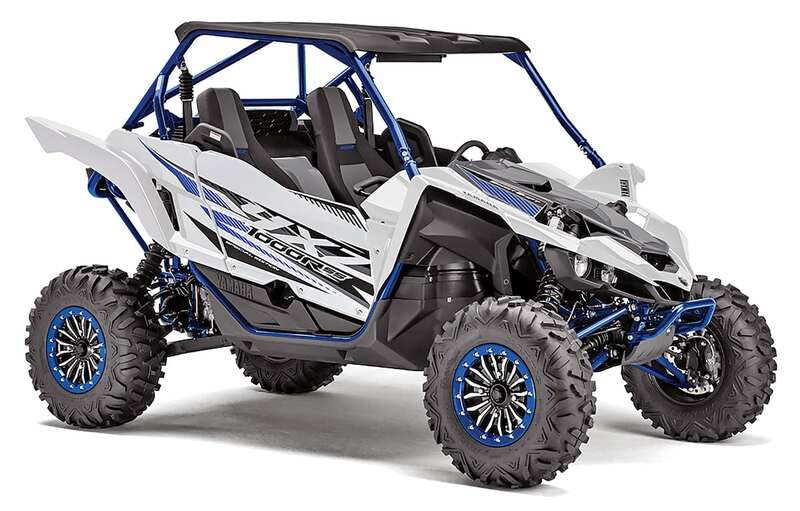 Yamaha added new wheels and hubs with a 4/156 bolt pattern, and 29-inch, eight-ply Maxxis Big Horn tires are mounted on those new wheels. Also up front, the electronic power steering has been re-tuned for the new suspension setting and larger tires. This should help reduce the feedback that one of our more critical test drivers felt at high speeds. The new ROPS itself can be bolted directly onto the older YXZ models. The pick-up points at the frame have not been changed. A quality aftermarket cage goes for around $1000, so if you like the look of the 2019 ROPS, you can save big. With sway bars front and rear, the XC corners flat and slides predictably. It has the planted, confidence-inspiring feel of a wider vehicle. At the rear of the machine, you can see that the radiator has been relocated. It’s now situated at the front of the cargo box and behind the seats. It has dual fans and should keep the engine running a bit cooler. Another change that will affect engine performance is the lower transmission gear ratio. Factoring in the larger 29-inch tires (2016–2018 was 27 inches), the new final gear ratio will be 16.7 percent lower in first gear and 7 percent lower in second through fifth than previous models. Finally, within the engine, Yamaha installed GYTR connecting rods that are stronger and will handle future horsepower upgrades better. 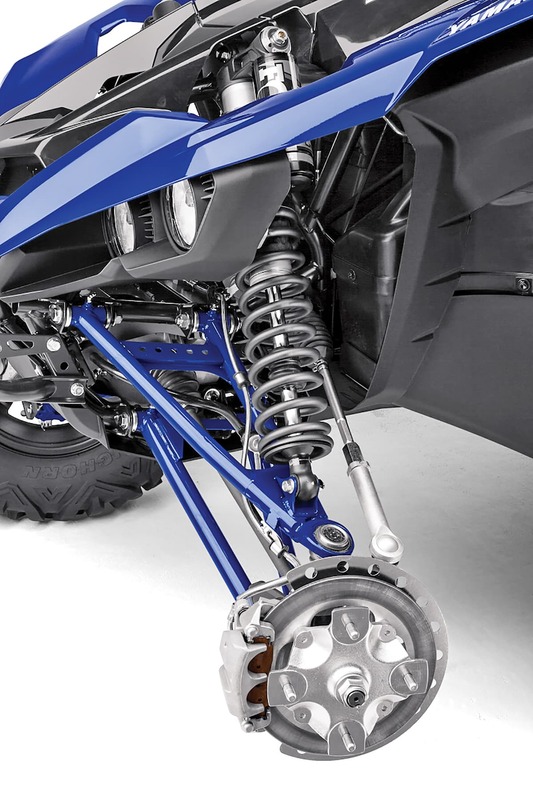 Internally, the new lower gearing won’t retrofit to 2016–2018 models, but that’s okay, because Yamaha offers the complete TAG gear kit you can still use if that’s what you are looking for. Yamaha is listening to what owners are saying and is coming out with positive changes to an already great platform. We can’t wait to drive this one and see how well the upgrades work. HOT New Product from Sector Seven!